With every passing innings, Cheteshwar Pujara is enhancing his reputation as a Test batsman. 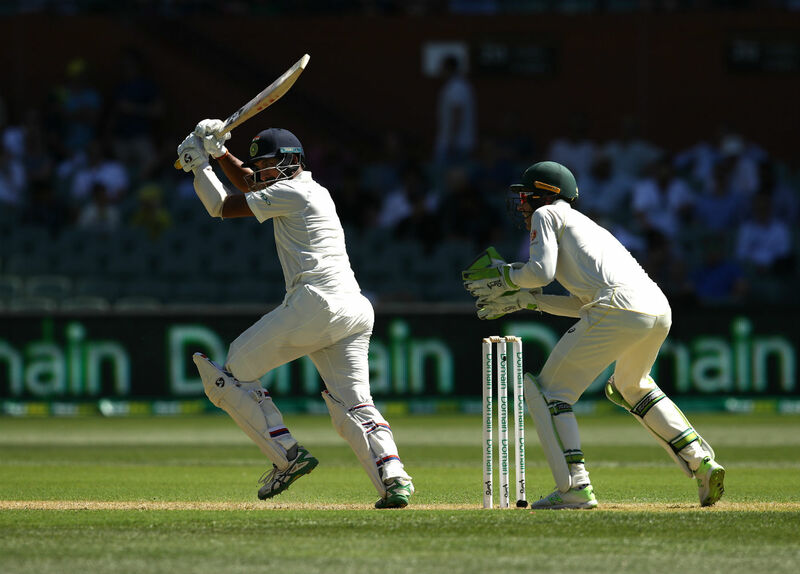 At a time when the game is rarely witnessing a batsman who loves to occupy the crease for a long time, Pujara has been an exception by a mile. Pujara has been one of the best if not the best performers in the ongoing Test series between India and Australia. In a series where batsmen from either sides have not played too many good knocks, Pujara has looked class apart. The first seven innings of the four-match series has witnessed just 4 tons and Pujara has incredibly scored three of them. India skipper Virat Kohli has scored the other one. Pujara started the series with a fighting ton in Adelaide. The likes of Virat Kohli, Murali Vijay, Ajinkya Rahane, Rohit Sharma and Rishabh Pant had failed to stay for long as India found themselves in big trouble. At one stage, India were reeling at 41 for 4 in Adelaide. The right-hander had gone on to score 123 as India posted a respectable 250. India had gone on to win the game by 31 runs. He failed to get going in the second Test but scored yet another impressive ton in the third Test. Pujara scored 106, helping India win the game by 137 runs and take an unassailable lead in the four-match series. And on Thursday, he scored his third ton of the series in the ongoing fourth Test. His latest knock, meanwhile, has left former England skipper Kevin Pietersen mighty impressed. Youngsters – look, learn & listen!